Definitely too many irons in the fire! Where do I start, which ones are still hot, which ones only luke warm and which ones barely still glowing? There’s a flicker…better hold onto that thought! Well, to clarify quickly, all of my blogger friends are still HOT! Other things will just have to be left smoldering for a little while longer. Oh, my, here I am extremely grateful and embarrassed at the same time. 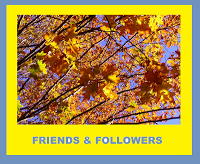 I am so grateful to all followers and visitors of catnipoflife and embarrassed in the lateness of the recognitions to follow. 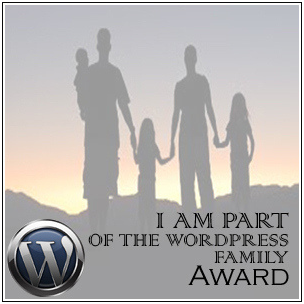 It is with deepest appreciation that the Shine On and Reality Blog awards are accepted! I do hope you will take the time and visit the amazing sites who bestowed these awards on catnip. 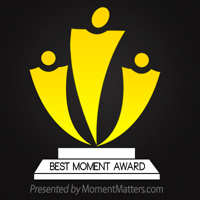 Each offers a unique perspective on life that you really do not want to miss, as well as other website nominations you might want to visit! *Shine On Award from Hot Rod Cowgirl! Hot Rod Cowgirl is all-American and will amaze you with her magnificent photography. 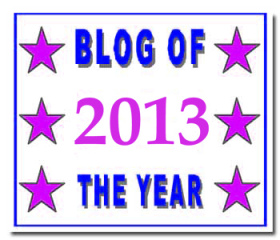 *Reality Blog Award from Fortyteen Candles! Fortyteen Candles writing is light but yet a powerful read with excellent imagery. 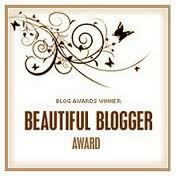 *Reality Blog Award from The Blazing Trail! The Blazing Trail blazes with words to enlighten, spur and strengthen! 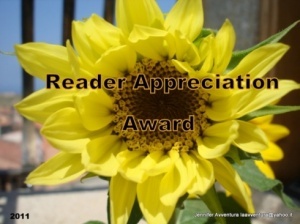 *Reality Blog Award from The London Flower Lover! The London Flower Lover is for anyone with a love of flowers and great life stories! 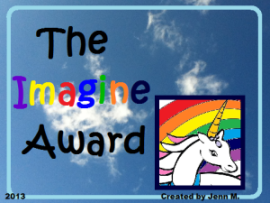 *Reality Blog Award from Raani York! Raani York jabs and stabs celebrities with her quick wit and Jake offers his advice in his cat diary! 3.) 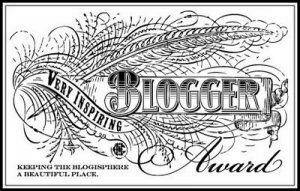 Nominate 5 – 10 or so bloggers you admire. SEE BELOW! 7 ‘cookie crumbs’ about me. . .
And the recipients are. . . Drum roll, pl-e-e-ease. . .
AND THAT IS NOT ALL, FOLKS! 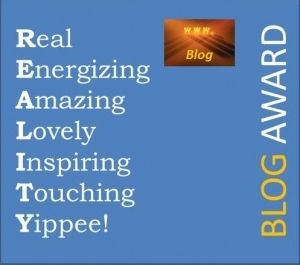 GO TO AWAKENINGS FOR MORE REALITY BLOG AWARD RECIPIENTS. 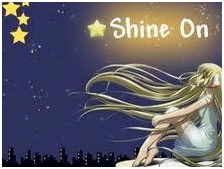 . .
You are one of my shining stars! And thanks so much for the nomination! Is it for our international blog “Voyage en éphémère”? 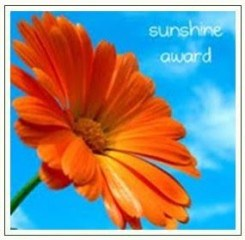 Of course, you are well deserving of the Shine On and Reality Blog awards! Don’t forget me and The Free Tag Zone Network, i’m waiting for your photographies! Did you get my email about the new pictures? Are those the ones to which you are referring or I have I forgotten something? It has just been too hectic the last month. BUT we did get some great news on my husband at the Mayo Clinic! Some problems with mails during last 10 days! I’m talking about the city of Murals (don’t remember the name of the city … 😉 something like Gothan?). I guess this is my eary Christmas present 🙂 I’m thanking you again … and it seems I always want to thank you just for being my friends, awards or not! Have a wonderful Thanksgiving and I prommise to get back to this after the Holidays and finishing that project I’m so far behind on that it’s kind of scary. Love you sweetie!!!!! Oops I meant to say …appreciative of you in the last comment! 🙂 which I am! Oh Sharla I am humbly honored by your including me in awards to be among such talent and thought of as the same caliber, well I am just humbled. thank you So Much!!! Have a Blessed Thanksgiving! Thank you Sharla for this award. I am so far behind due to my eyes and still have not posted Raani’s award so forgive me if I am late to get this done. I appreciate you and Raani and will try to get this done soon. Thanks for this honor. Thank you Sharla for this price. Concatulations! And thank you so furry much for nominating me!! Will be accepting them in the next few days though. Thank you very much! I deeply appreciate these awards! Can I just add the badges to my “Award” page? or I have to creat a separate post following the rules of the awards? Definitely add them to your Award page if that is your preference. The ‘rules’ are always optional:>) I am so glad I discovered your site! Very impressive! Thank you so much! I’ll add them WITH PLEASURE! 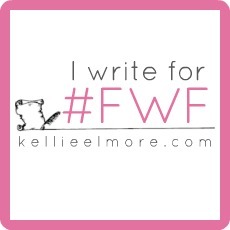 I’m honored to be in this list of bloggers by you! Thanks much! Arlen, visited, Liked and left comments! Thank you for accepting the awards! 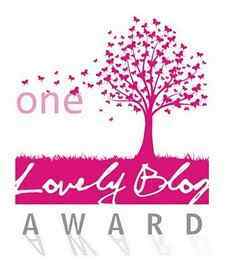 I couldn’t believe it when saw this blog post and realised you have nominated me for, both awards? Wow! Incredible. 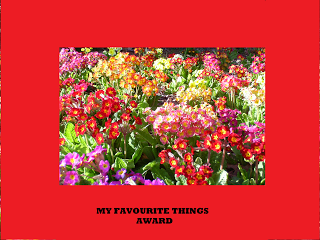 I am so honoured, the awards mean so much and they are very pretty looking awards, I am over the moon, so grateful. I will be doing the award protocol, just it make take me a few days or more to do it, as I am in the middle of writing a profile. Completely understood! I will not tell you how long it took me to get that one posted:>) They take time but well worth it because of responses such as yours! It is the giving that totally elates me! Happy Thanksgiving! Hello Sharla. I accepted your price. Have a good weekend. Yes! Thank you, Gys. You, too, have a wonderful weekend! And as promised the new edits are awaiting approval on Amazon. Sharla – a huge thanks! I am truly honored! 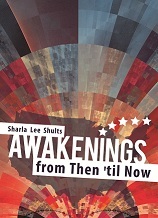 Congratulations Sharla! You deserve ALL of them!! Well done!! I am so honored and so sorry for not having responded sooner. Please forgive me for that. Thank you so much for honoring me with this award! You are very dear to me.